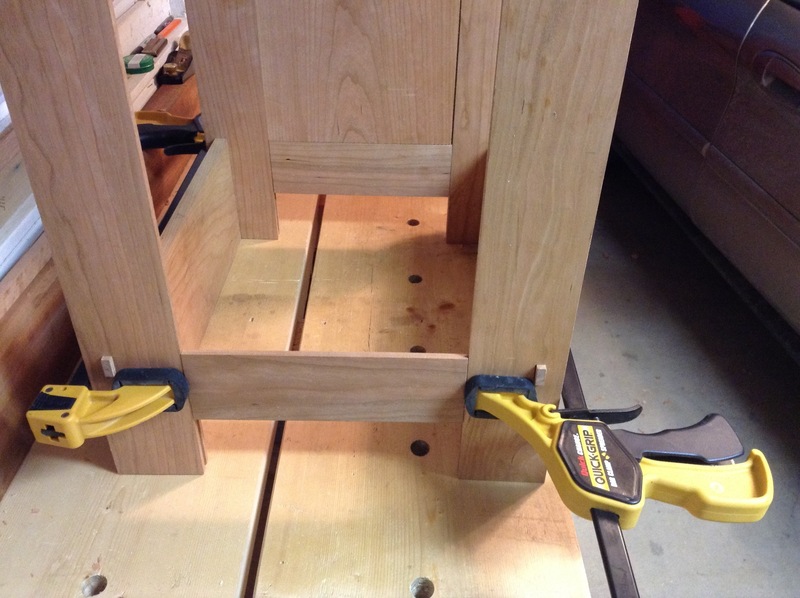 Each cross piece has two tenons which join to the panels via through mortises. 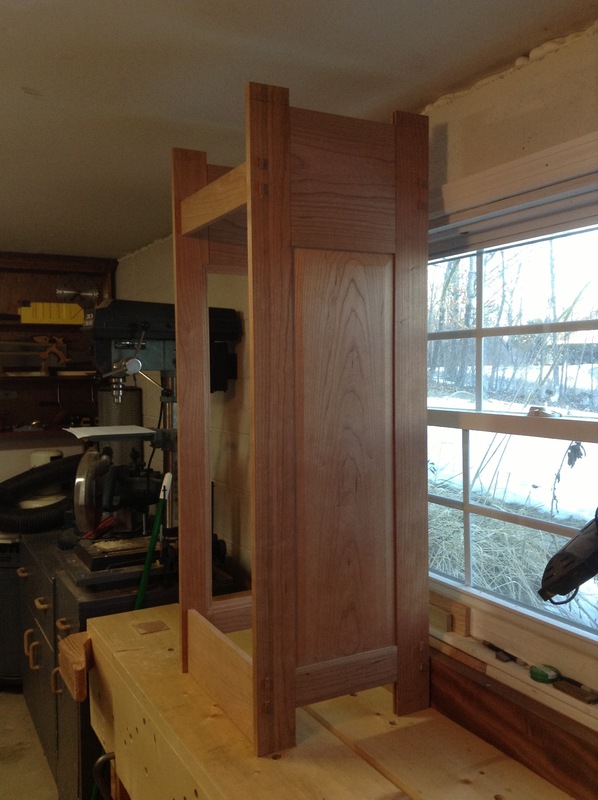 I have yet to decide if the tenons will stand proud of the panel stiles, or if they should be flush. So for now, I cut them a little long. As usual, I cut all the mortises first. I used my 1/4″ English mortise chisel to chop em out. I went halfway through on one side, and flipped the stile over to finish the mortise. I spent a good deal of time marking out the mortises, which prevented any tear-out when chopping. For the tenons, I started with the bottom shelf cross pieces. These are fairly wide boards so I used the same technique I used for the tenons on the top of the panels. I cut out the tenons and trimmed to fit each mortise. After the first four I really got into a groove and started knocking them out. Next I knocked out the top cross pieces for the top shelf. I was quite pleased as everything lined up on the test fit. 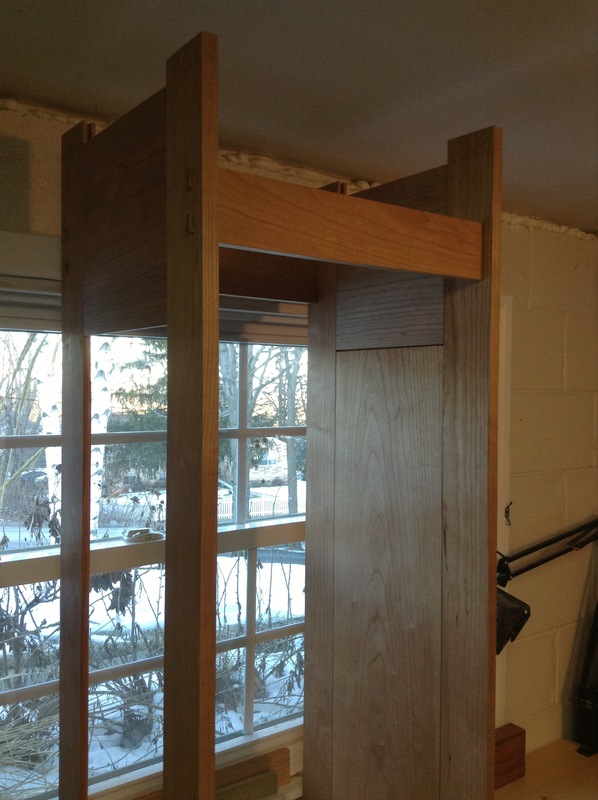 This entry was posted in Chiffonier, furniture, hand tools, VCF, woodworking and tagged chiffonier, furniture, hand tools, mortise and tenon, woodworking by villagecustomfurniture. Bookmark the permalink.